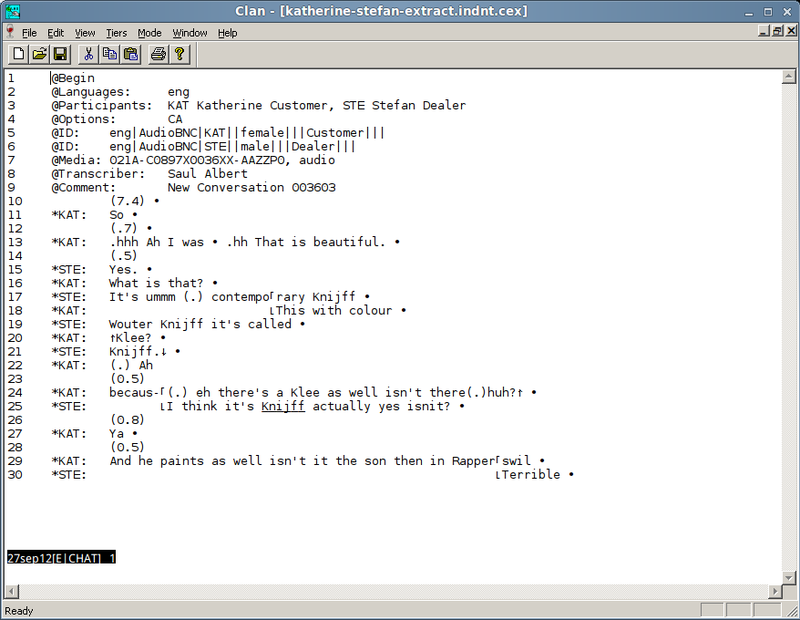 But I’m curious about Elan and Clan and it’s a pity that it is such a pain to make things work on Linux! There seems to be a problem with the latest version of CLAN under WINE. If you are using Unix, I recommend you install the latest version of CLAN Unix-tools (still work fine) and then CLAN v.11 (August 2013) or earlier. There are links to archived copies on the CLAN page. Do you by any chance have Lorenza’s presentation – the link seems to be dead. It would be great if you could send me a copy. 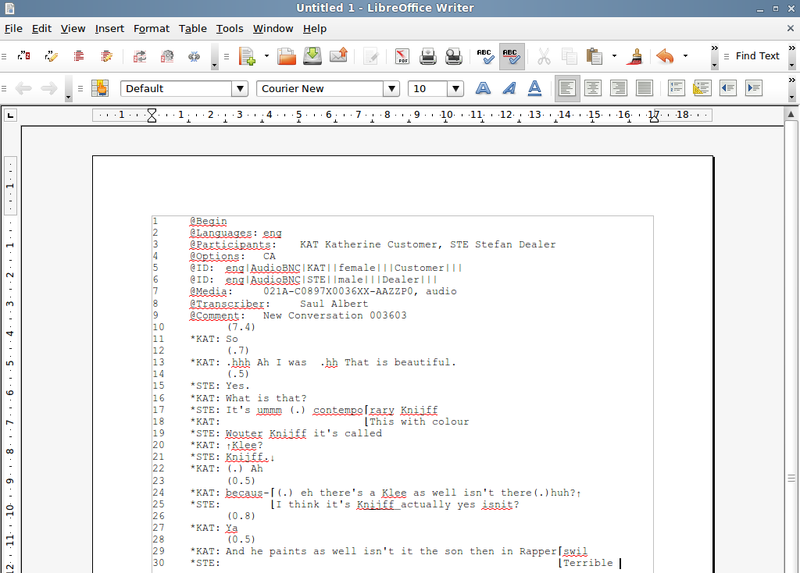 I’m doing a study on conversation analysis language documentation. 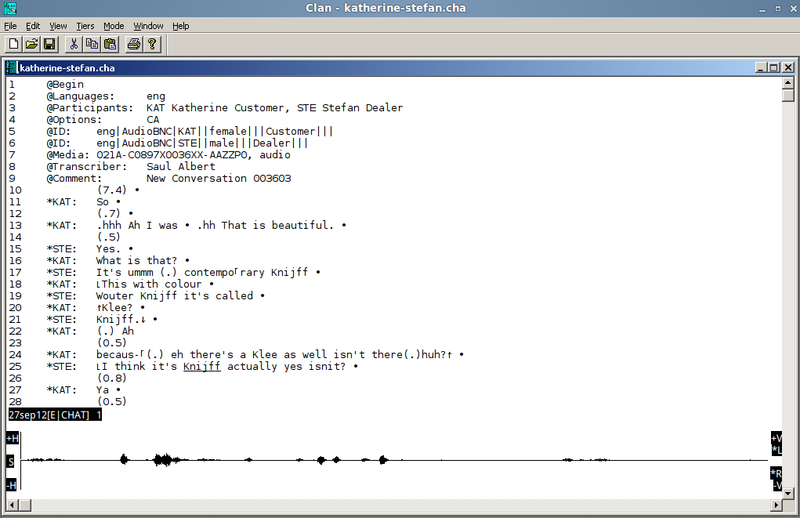 I’m using ELAN as a starting point to create a CA style transcript, which allows me to add gloss and translation in another tier. 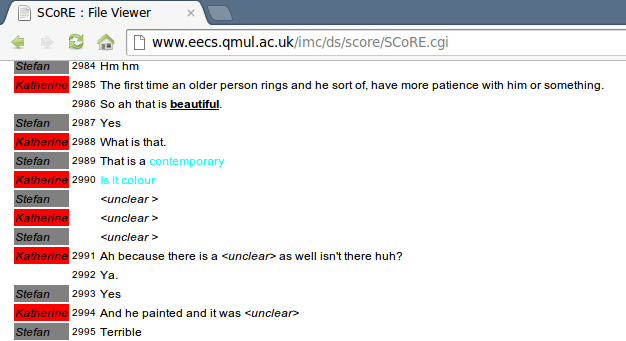 Then i stumbled upon CLAN as I read about corpus linguistics method in handling conversations. Now, i’m trying to learn CLAN so i can compare them. Is CLAN recommended when handling conversational text where you need to interlinearize them? The short answer is yes: you can use CLAN when handling conversational text where you need to interlineraize a translation tier, a gesture tier, or a morphological tier. In CLAN, these ‘%’ prefaced tiers are called ‘dependent tiers’, and are placed following each speaker-tier line of a transcript. Depending on your use-case, you can define your own tier codes – see section 6.13 of the manual for how to use coder mode (you can create your own per-utterance coding templates, then use them on your corpus). In general I highly recommend working through the CLAN tutorial (especially the CHAT-CA section) which really helps to understand how CLAN deals with these concepts of tiers, codes and the difference between CHAT and CHAT-CA etc. : http://childes.talkbank.org/clan/tutorial.zip – it’s a really well-made and enjoyable tutorial, and should only take a couple of hours to work through fully.